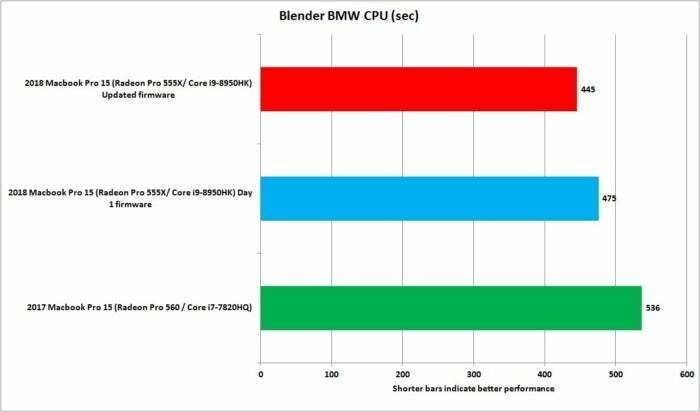 With Apple having addressed its throttling issues with a firmware update for the 2018 MacBook Pro, it’s time to take another look at the laptop and supplement our original benchmark results from our initial review. We’re not going to recap the whole controversy about the new MacBook Pro here. But if you are interested in the history of this issue, here are a few articles you can read (listed in order from the discovery of the problem to now). This suite of tests are benchmarks that perform tasks that a professional might do. We ran the tests on the 2018 15-inch 2.9GHz Core i9 MacBook Pro before and after the update. We also tested the 2017 15-inch 2.9GHz MacBook Pro for reference. 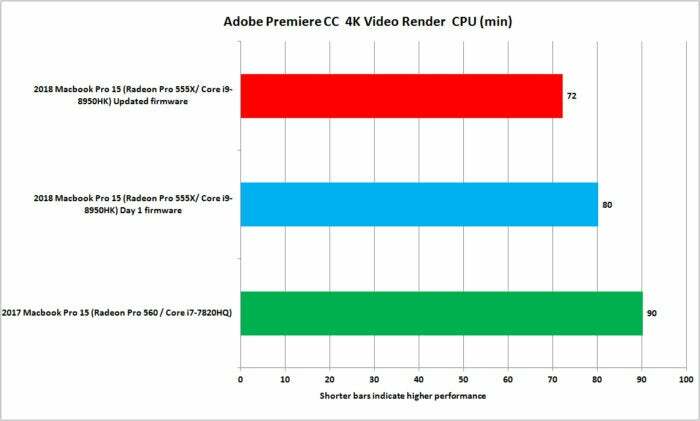 This test involved an Adobe Premiere video project created by the Macworld video team. (You can watch the video on YouTube.) We exported a video to the H.264 format using the YouTube 2160p 4K preset and with Maximum Render Quality turned on. 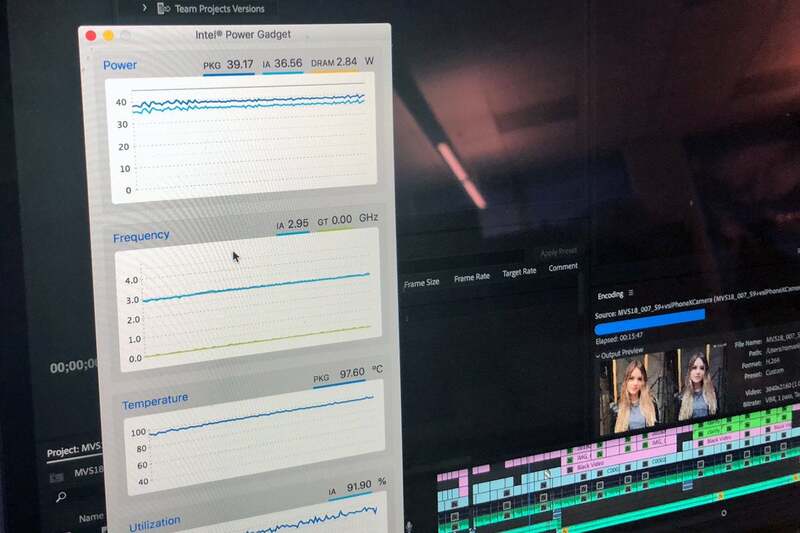 When we rendered the video using Adobe Media Encoder CC, we set the Renderer to the Mercury Playback Engine Software Only setting in order to isolate the CPU. Our tests of the new MacBook Pro before the update showed an 11 percent speed increase over last year’s model. We weren’t able to replicate the loss of performance that YouTuber Dave Lee experienced during his testing (his video was the one that brought the throttling issue to the forefront). After the update, we saw a bigger improvement over last year’s laptop—a 22 percent increase. 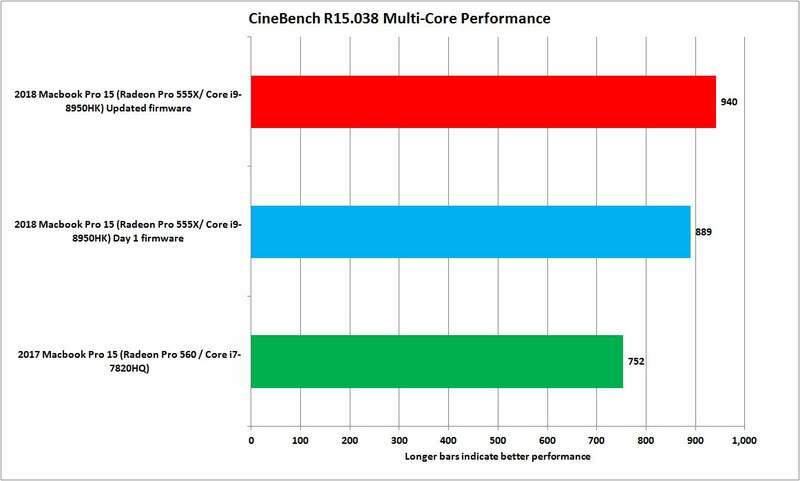 Cinebench is a benchmark that involves a 3D render, and its CPU stresses the available processor cores. According to Maxon, the scene has about 2,000 objects with over 300,000 polygons and an array of effects. When using all of the processing cores available on each laptop (six on the 2018 MacBook Pro, four on the 2017 model), The updated 2018 MacBook Pro shows a 25 percent boost over the 2017 MacBook Pro. Without the update, the 2018 MacBook Pro had a 17 percent increase over last year’s model. Blender is a free, open-source 3D application. We used the CPU test of the Blender BMW Benchmark to test another 3D render. 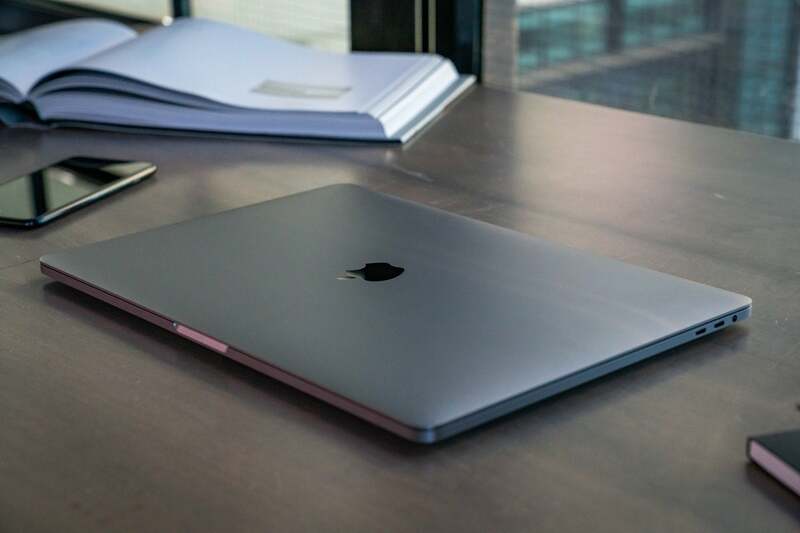 The updated 2018 model was 19 percent faster than the 2017 MacBook Pro. Before the update, the 2018 model was 12 percent faster. One more 3D renering test: V-ray. We used the test designed for the CPU. The updated 2018 MacBook Pro was 19 percent faster than last year’s model. Without the update, the new laptop was 12 percent faster. Throughout testing, we used Intel Power Gadget to monitor the MacBook Pro’s CPU power usage and clock speed. The app shows progress as a line chart. Before the update, the 2018 MacBook Pro demonstrated a lot of throttling in these tests, and the charts in Power Gadget sometimes looked like erratic scribble marks. CPU clock speeds often dipped down to 2GHz, and as high as 4.8GHz, the laptop’s Turbo Burst speed. The temperature and power consumption also showed a lot of variance. IDGIntel Power Gadget running on an updated 2018 15-inch 2.9GHz MacBook Pro. The macOS High Sierra 10.13.6 Supplemental Update had a calming effect on the CPU. Once installed, we saw more “flatline” type results in Power Gadget, with the CPU better able to maintain its power consumption, temperature, and base clock speed. 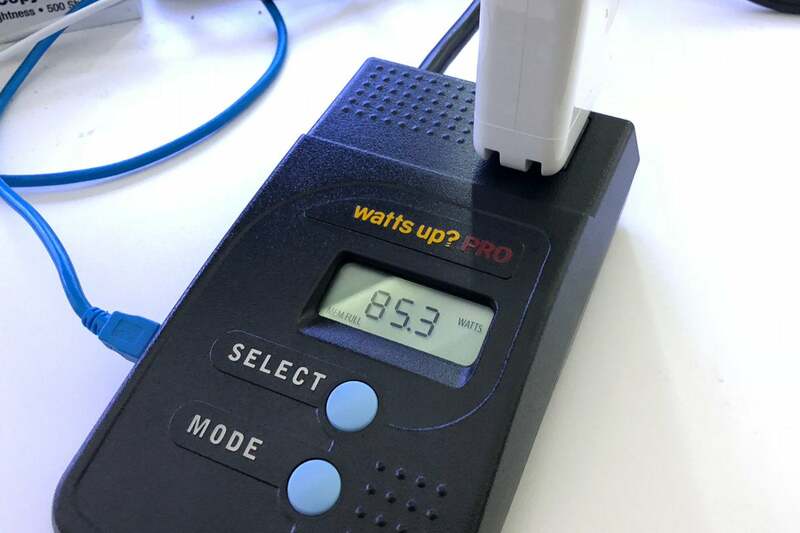 In addition to Intel Power Gadget, we used a watt meter to watch the MacBook Pro's power consumption. Before the update, we witnessed wild fluctuations; this photo was taken before the update. With the update, we saw more level, consistent wattage. If you plan to buy or bought a 2018 MacBook Pro with a Touch Bar, make sure you install the macOS High Sierra 10.13.6 Supplemental Update. (The 13-inch models without the Touch Bar did not get processor updates and weren’t affected by this bug.) 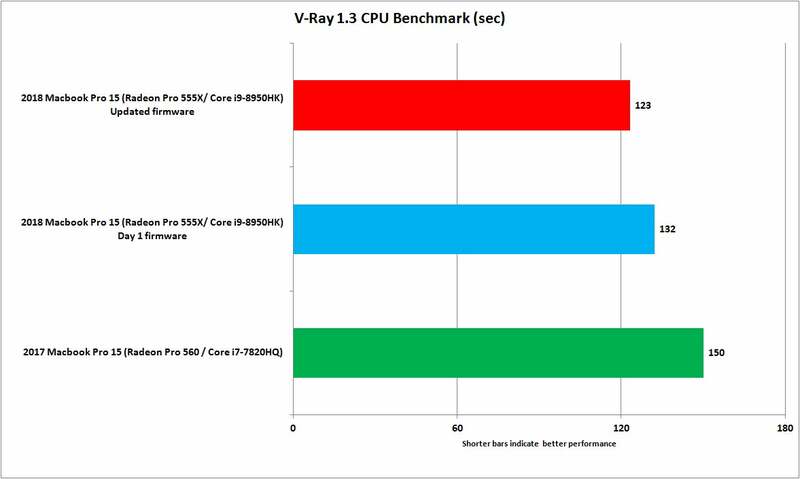 It makes a big difference in performance, especially for multi-core tasks. And it will help the MacBook Pro run more consistently. For more about the 2018 MacBook Pro, read our review, which has been revised based on this additional testing.